You’re Here Because You Believe You Have A Viable And Potentially Profitable Business Idea, But Lack The Strategy Or Funding You Need To Realize Its Expansion. As a female founder, you have the desire to make a positive social impact, and the vision to make the world a better place. But maybe you are asking yourself whether you have what it takes, or worrying about whether you have a scalable business model, a go to market plan and an exit strategy in place. You may be doubting that you have the specialist knowledge, tools, or - if you’re completely honest - the confidence that you need, to stand in front of potential backers and pitch for their investment. I’m Kelly Keenan Trumpbour, Angel Investor, Venture Capitalist, and Producer. As an investor who backs women-led businesses, I teach entrepreneurs, startups, and creatives how to communicate their vision, plan for growth, and pitch to partners, collaborators, and investors. You’re a self-starter who’s more than capable of getting a project off the ground. But as your business has grown your focus has fragmented, and you’re painfully aware that you’re spreading yourself too thin. You’re a natural leader with an inspiring vision, but you struggle to articulate it in a way that inspires trust and confidence in those that don’t know you well. You’re confident in your business idea, but when it comes to talking figures, you can never quite tell whether you’re undervaluing or overvaluing your concept. You’re personable, engaging, and make a positive first impression whenever you meet someone new, but you feel awkward and intimidated whenever you think about meeting and networking with investors. You’re enthusiastic about where your business is heading, but you know you’ll need to take a few calculated risks while keeping a clear head to stay in the game. If this is how you’re feeling right now, it may come as a surprise to you to learn that you’ve already done one of the hardest parts. You’ve spotted a gap in the market, identified a need, and created an innovative product or service that you believe the market wants. Now it’s time to take that idea and get your business in front of potential partners, collaborators, and investors with the resources to help you scale. I know how tough it can be to see the thing that you want so badly for yourself and your business—growth and funding—but believe you can’t have them because you don’t know the rules, speak the language, or know how to meet key players who can help you. As a leader in the investment industry, I want to change all that. I believe that by leveling the playing field and providing highly actionable, transparent advice to up-and-coming entrepreneurs, everyone stands to benefit. More companies will be launched, more mutually beneficial deals will be made, and more problems will be solved in innovative ways. What will Investors think of your business? Is Seeking Outside Investment the Right Next Step for You? 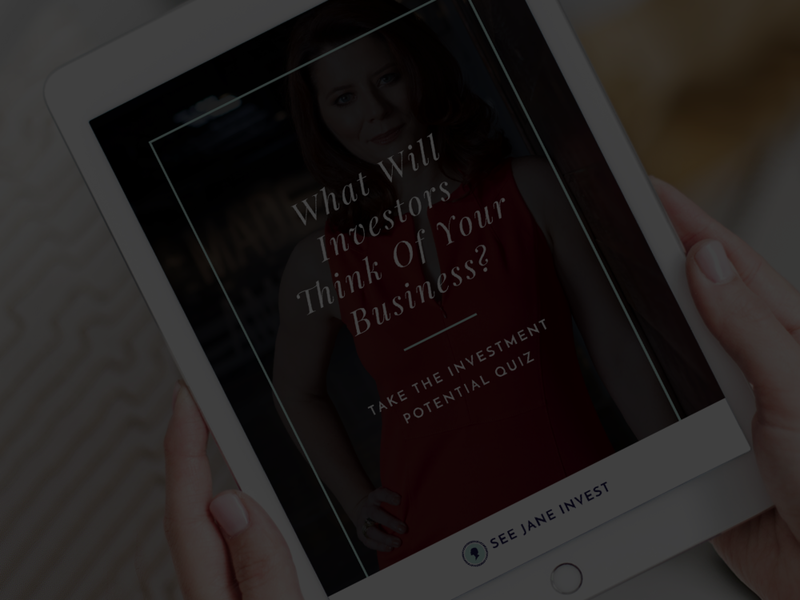 Kelly Keenan Trumpbour is an active Angel Investor, Venture Capitalist, and Producer based in Baltimore, Maryland, who funds women-led startups and films through her portfolio company, See Jane Invest. To receive an investment, startups must be founded or co-founded by a woman, they must provide a scalable business model with an exit strategy, and the company’s presence in the marketplace must provide some evidence of positive social impact. As a producer, she supports women filmmakers and production companies. Serving as Founding Venture Partner at NextGen Ventures, Kelly is a board member of the Baltimore Angels, who has mentored and invested in over 50 companies. Kelly welcomes the opportunity to pull back the curtain of the investment world and share actionable advice with entrepreneurs at all stages of business. A sought-after speaker and media commentator, Kelly has appeared as a guest judge on CNBC’s Power Pitch, Fox Business’s Elevator Pitch, and addressed audiences at Harvard, Berkeley, The United Nations, and many others around the globe. A graduate of Johns Hopkins University, University of Maryland, St. John’s College, and the University of Detroit Mercy, Kelly holds a Masters in Business Administration, J.D., Masters in Liberal Arts, and a B.A. in English Writing and History. The Top 10 Traits Successful Business Women Own About Themselves!